There are dozens of reasons why expats are attracted by the prospect of moving to Spain—a rich and ancient history, romantic castles, fabulous cities, beaches, mountains, fiestas beyond number, succulent cuisine… Spain has it all. Away from the bustling tourist resorts you’ll find pretty seaside villages…and Spain off the beaten track is a revelation: a gracious, fulfilling and traditional way of life that survives despite modern inroads. Spain’s climate is mixed: Northwestern, green Spain, which borders the Atlantic, has cool summers, with fairly heavy rainfall in winter. The region is mountainous, with hills that sweep down to the sea—the chilly waters of the Bay of Biscay, warm enough for swimming only in summer. But “green Spain’s” temperature range is not extreme: If a cool, year-round climate appeals to you, then you’ll like this region. Spain’s interior has a continental climate of hot, dry summers and cold winters. Temperatures may soar to the 30s C (occasionally even higher) in summer and drop to freezing in winter. Moderate, cloudy conditions, with spring and autumn rainfall, are typical on the eastern, Mediterranean coast. The Balearic Islands have cool, wet winters and warm, dry summers, while the Canary Islands, off the African coast, have a more tropical climate. Carriers including Qantas, Qatar Airways and Emirates offer flights from Sydney and Perth to Madrid from as low as $650 one way with one stopover, additional stopovers reduce fares further. Qantas, Singapore Airlines, Emirates and Qatar Airways also offer flights from Melbourne, Adelaide, Sydney and Perth to Barcelona from $660 one way. In addition, numerous budget airlines fly to and from Spain from other destinations within Europe, as does the Spanish national airline, Iberia. Popular airports serving coastal regions include those of Valencia, Alicante and Malaga, along the Mediterranean coast; the airport in Jerez de la Frontera, serving Cadiz and the southern Atlantic coast west of Gilbraltar; and Bilbao and Santander, along the northwest Atlantic coast. Away from the popular Costas, English isn’t as widely spoken as you might expect. Spanish fluency is not a prerequisite for moving to Spain, but you will want to learn some of the basics. If you choose to live away from the Costas, you will need reasonably good Spanish to manage comfortably. Real estate agents will happily give you property listings, but with a focus on local interests, they can afford to ignore the language skills needed to attract international clients. Though Spanish is the most useful language to know for Spain, keep in mind that it’s not the only language spoken there. Most people in Catalonia, for instance, prefer to speak their native Catalan, while a good third or more of those in the Basque Country, on Spain’s northern Atlantic coast, speak Basque as their first language. Gallego is spoken in Galicia, in the far northwest and Valenciano in the Community of Valencia (the provinces of Valencia and Alicante). While all Spaniards do speak Spanish fluently, street and shop signs are often in the local language in these regions. A thriving hub of fashion, culture, dining and sports; Barcelona represents the highest standard of big-city living in Europe. Spain’s spruced-up second city has a 24-hour lifestyle and is popular for weekend breaks with Europeans. Situated between the snow-capped Pyrenees and the Mediterranean, the picture-postcard province of Catalonia boasts Spain’s most spectacular coastal scenery–the Costa Brava. The name means “Wild Coast,” and it’s a ruggedly beautiful place of pine-covered cliffs and secret coves. The Mediterranean coast between the cities of Valencia and Alicante is sunny and warm for much of the year and filled with small beach communities. Valencia, Spain’s third-largest city, offers big-city style with beach on the side. Alicante is more obviously a beach-tourism city…yet walk just a few blocks inland and you have a traditional Spanish city, village-style friendliness included. Hub of the Costa del Sol, the ancient port city of Málaga is around 160 kilometres from the North African coast. With a lively, pedestrianised city centre and plenty of museums, shops and Moorish ruins, Málaga offers a year-round sunny, warm climate and surprisingly affordable living. With its international airport and fast rail connections, it’s also very accessible. For a taste of a more authentic Spain, the hills behind the Costa del Sol’s busy resorts and golf course apartments and villas turn up plenty of treasures. Magical places to go house-hunting include the 31 towns and villages of the mountainous Axarquia area, high in the foothills above Malaga. Baking under Andalusian skies, Granada pleasantly taps into the emotions as well as the senses. 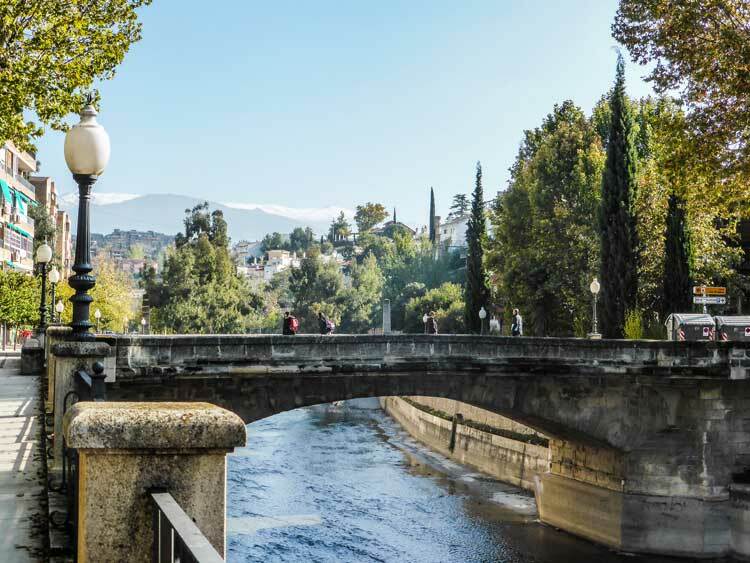 With the Sierra Nevada mountain range as a backdrop, it’s difficult to envisage a more dramatic setting for a city…and most foreign buyers are impressed by the “wow factor” of Granada’s compact centre. Sign up here for IL Australia’s e-letter and we’ll send you five free postcard e-letters weekly. We’ll also send you a FREE research report on Live the Good Life in Sunny, Affordable Spain. Each week in these postcards you’ll learn about the best places to retire, travel, buy real estate and enjoy life overseas. You could say I ended up where I am in life because of absinthe and Picasso.My first ever trip overseas took me to an ancient port town in faraway Spain. I was in awe of the history, I was a glutton for the delicious food and I couldn’t believe the value I was getting for my meagre funds. Have you ever spent two weeks in a place and thought ‘Hmm, I could easily spend two years here’? Well Jerez is that kind of city. I was on a six-week jaunt through Spain, exploring the Andalusia region, and after a 10-day stay in Seville, I headed the hour south to Jerez. And I was far from the only one. Tourists, expats and locals alike have been experiencing the beauty of Jerez for decades, enjoying a high quality of life at some of the cheapest prices in Europe. "I want to show you Barcelona…”It was one of the first things my Hungarian boyfriend said to me. Budapest I might have expected, but Barcelona? As a musician, he had worked all over Europe but fell hard for Barcelona’s many charms. And on our first weekend together there, I was to do the same. Situated on the Paseo del Espolon, with its interlocking arch of Plane trees, Restaurante Polison was a picture-perfect lunch spot on a mild Iberian afternoon earlier this year. Seated on the sunny patio, Keith and I tasted authentic tapas including Jamon Iberico, Spanish ham drizzled with olive oil and topped with coarsely cracked pepper and served with a basket of fresh bread—and drank the crisp white Albarino wine. The view was priceless and the lunch a steal at under $20 for two. The funny part is, we hadn’t even planned to be there. It’s more than 25 years since I lost my heart to Spain. On my first visit, its romantic, rich history, its people and the rhythm of the days won me over. These days I spend several months a year there, getting my fill of sun, siestas and serrano ham. (Part-time living in Europe is easy: You can spend 90-day stints on a simple tourist visa.) This year a five-kilo ham, cured to perfection, is already waiting for me. Hey—I’ll have months to eat it. Is Malaysia a Safe Place to Live?